Saxophone Workshop at The Manchester College, Manchester. On 16th & 17th February 2019 – In association with The Manchester College Jazz Department and Selmer Paris, JazzSmart hosts a two day saxophone workshop, that is aimed equally at classical and jazz saxophonists, led by Andy Scott, assisted by James Rawlinson & Andrew Blee. 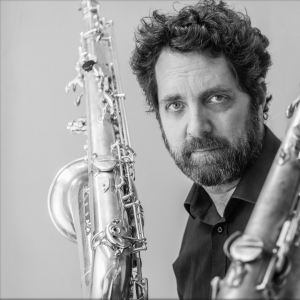 In Autumn 2017 Andy presented saxophone workshops in Hong Kong, Macau, Norway, Holland and the UK, bringing his vast experience as a saxophonist, composer and educator to the table, and is delighted that Selmer Paris Saxophones, Vandoren UK & Astute Music are sponsoring this event. “Developing the February Saxophone Weekend in Manchester in conjunction with Andrew Blee & James Rawlinson at JazzSmart, and Manchester College, is a pleasure! The venue is only a couple of minutes walk from Piccadilly Station, with good cafes and restaurants nearby. The cost for the two days including tea, coffee and cold refreshments is £130. Questions? Then send them to us via our contact form and we’ll be happy to help! As an approximate guideline; be able to play around Grade 4 standard. Please note, this does not mean you need Grade 4 qualification, it means your current playing level should be of this standard or better. Not provided, we recommend bringing a packed lunch. Tea, coffee and cold refreshments are included for all participants. The cost of this workshop for two days is only £130.